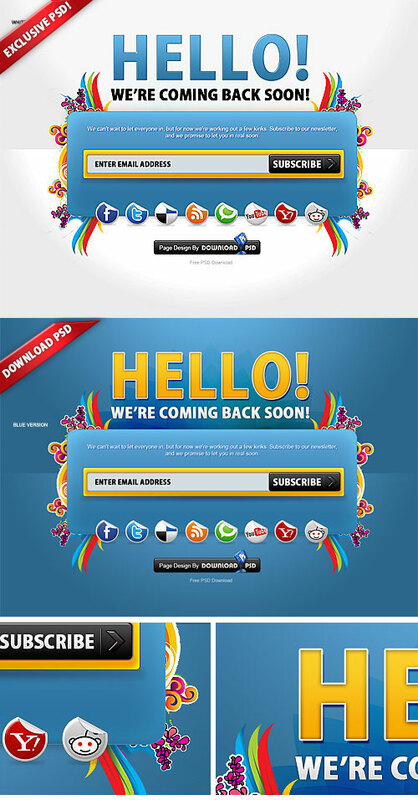 The Colorful Free Coming Soon Page PSD is released under Creative Commons. You can use it for all your projects for free and without any restrictions. Please link to this page or our website if you want to spread the word. You may modify the page as you wish.